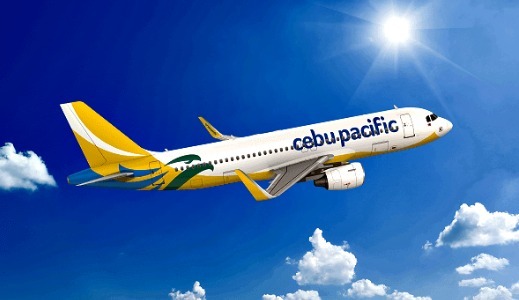 The Philippines' leading airline, Cebu Pacific Air will hold eight recruitment fairs in Manila, Cebu and Davao between February and October 2016, to support its expansion plans and growing fleet. CEB recently took delivery of two brand-new Airbus A320 aircraft, equipped with latest technology Sharklets and sporting new livery. Its wholly owned subsidiary, Cebgo, will also start taking delivery of brand-new ATR 72-600 aircraft this year. Cebgo is the launch customer for the Armonia cabin, the widest cabin in the ATR turbo-prop market. The recruitment fairs are scheduled on the following cities and dates: Manila (Cebu Pacific Office, Pasay) on February 6, April 30, June 4 and October 15; Cebu (Summit Circle Cebu) on February 20 and July 9; and Davao (Royal Mandaya Hotel) on April 16 and September 24. Currently, positions are open for female cabin crew only. CEB will process the applications on the same day, between 9am to 3pm. Acceptance of updated curriculum vitae with 2x2 photo will be until 1pm only. Applicants must be 18-25 years old, and possess a dynamic personality, height of at least 5'3" for female, weight that is proportional to height, clear complexion, good eyesight and a catchy smile, among others. Responsibilities include guaranteeing the safety of guests on board the aircraft, and ensuring that guests have a fun and pleasant flying experience. "We are looking for fun and dynamic individuals to join our expanding Cebu Pacific family. These career opportunities can pave the way for unlimited travel benefits, competitive compensation packages closer to home, and annual performance bonuses. We encourage everyone to join us in providing high-quality service all over the world," said CEB VP for Marketing and Distribution Candice Iyog. In its 19th year of operations, CEB has flown over 100 million passengers, and operates a network of over 60 destinations in Asia, Australia and the Middle East. Between 2016 and 2021, CEB expects delivery of three more brand-new Airbus A320, 30 Airbus A321neo, and 16 ATR 72-600 aircraft.